All good things must come to an end: Violet & I is closing down but why not add a few pieces to your wardrobe with their closing down sale? I wish I had found out about Violet & I sooner because there’s a tonne of amazing pieces I missed out on & with the closing down sale, no doubt what is left is all going to disappear quickly. Why not head over to the Violet & I store yourself and see if there’s any bargains you’d like to pick up? Maybe a one off eye catching, silk piece like this Augustine dress or some wide legged pants in a statement floral print? There’s also a sample sale clearance where everything is under $29 – but you’d better head over there now because all the sizes seem to be disappearing. 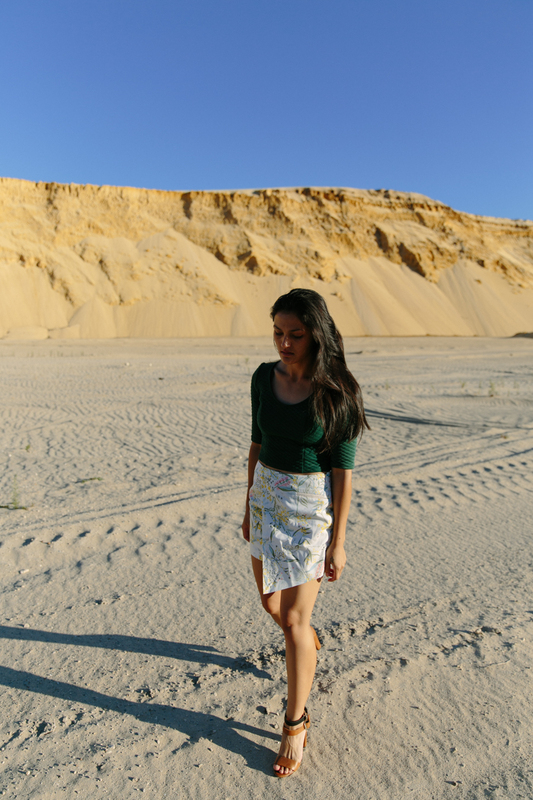 I, myself chose the quilted crop top and Wattle skirt because I thought it would make for the perfect opportunity to sneak into the quarry across the road and snap some outfit photos. 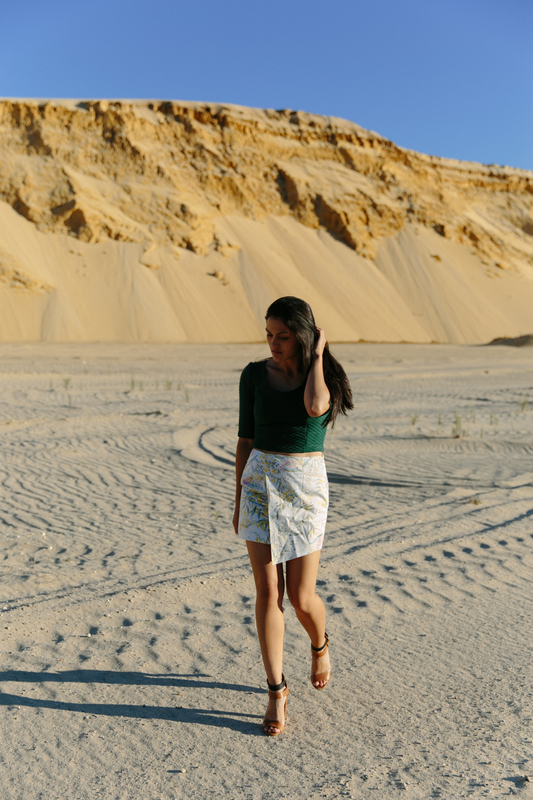 Also because the print of the skirt is just really simple and pretty and I always love a good quilted texture to cover myself in. Blankets included. After the actual photo taking was completed, we decided to climb the huge mounds of sand and have what I can only describe as a caked-sand fight. And of course I removed my heels. It’s hard enough already for me to walk with flat shoes on.